The Indian Four is considered by many to be one of the most handsome American motorcycles of the 20th century, if not all time. 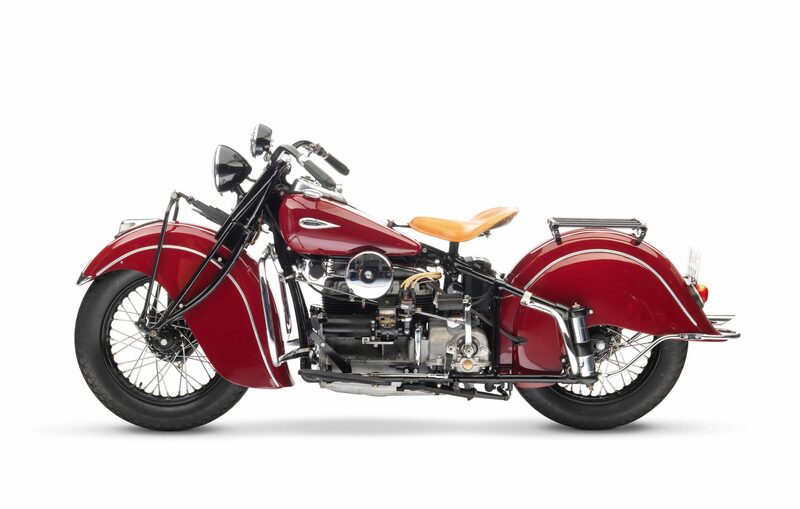 Its sweeping fenders, glistening chrome, longitudinally-mounted 4-cylinder engine, and tan leather saddle helped to define the ideal American motorcycle for decades – and the modern Indian Chief shares more than a passing resemblance to its Indian Four forbear. The Indian Four is fitted with one of the most handsome American motorcycle engines ever designed, and for its time it was also one of the most capable – able to achieve more than 100 mph and powering famous motorcycle racers like Erwin “Cannonball” Baker to new coast-to-coast records. 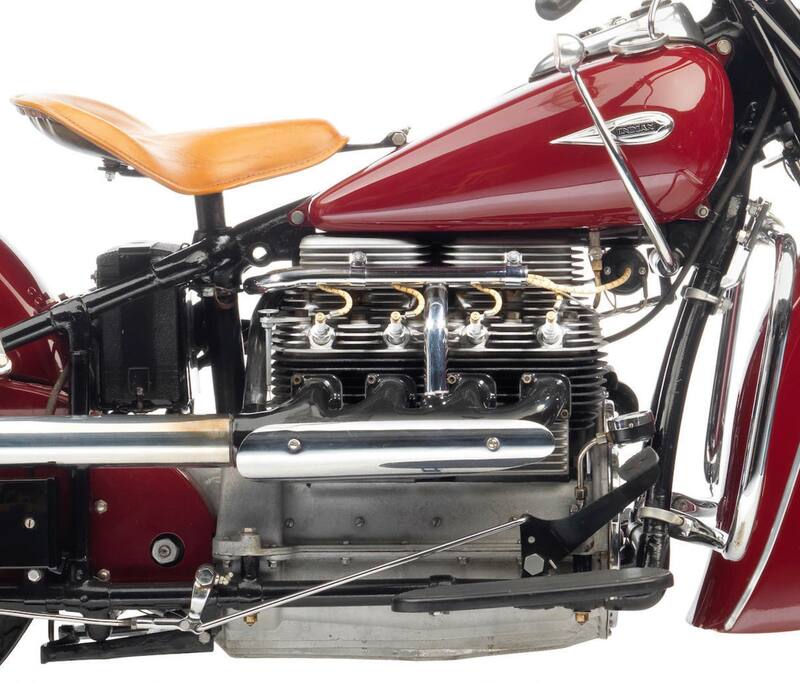 The Indian’s inline four cylinder engine didn’t start out with the Springfield, Massachusetts company. 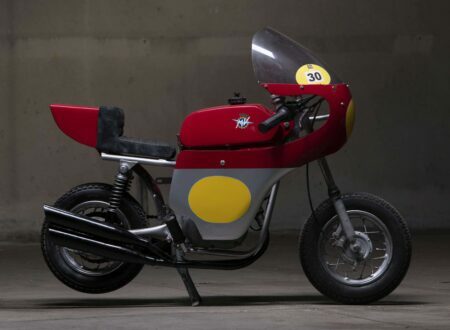 It was actually first designed and fitted to the Ace motorcycle, having been carefully designed by Thomas and William Henderson to be better than the inline-4 they developed for their previous company -the Henderson Motorcycle Company, which they had sold in 1971 to Excelsior. The Ace Motor Corporation was the brother’s new venture, kicked off in 1919, with their newly designed inline-4. 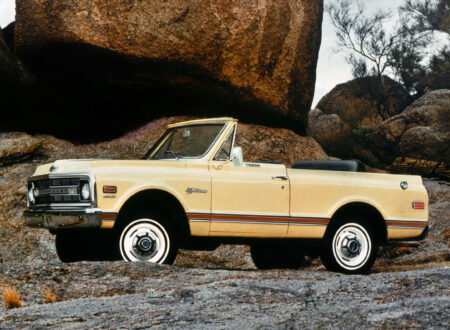 They had to be careful not to impinge on any of their own patented designs from their previous creations at Henderson, but they had the benefit of knowing their competitor’s product inside out. “Cannonball” Baker set his new cross-continental record aboard an Ace in 1922, giving the still-new company a boatload of free headlines across the country. Tragically, William Henderson was killed in the same year when road testing another Ace, and the company never recovered from his loss. Arthur Lemon succeeded William as chief engineer, and he would move to Indian when they bought the rights, tooling, and patents of Ace in 1927. 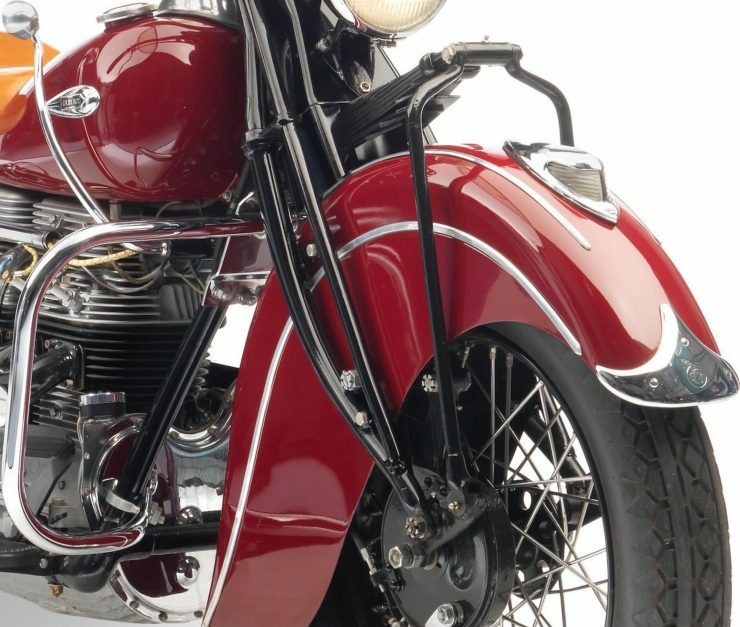 Indian released the Indian Ace Four a year later in 1928, before dropping the “Ace” name and going with the simpler name Indian Four from that moment till production ceased in 1942 as the American war effort ramped up. Interestingly, Arthur would stay at Indian, working on the inline-4 and continuing to develop it well into the 1930s. 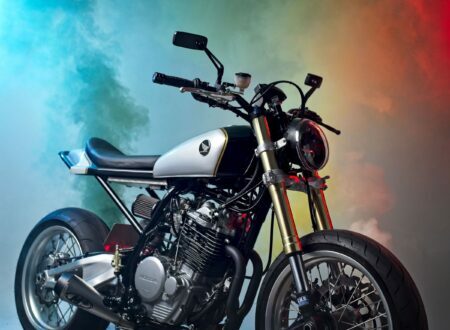 One of the first changes would occur in 1929, they increased the number of crank bearings from 3 to 5 and introduced a stronger twin-downtube frame (based on the Indian 101 Scout). Experiments to get more power out of the engine resulted in the head being redesigned to work “upside down” in 1936 and 1937, essentially the design went from being an inlet-over-exhaust to being an exhaust-over-inlet – however this resulted in far more heat coming out of the top of the engine, and required frequent exhaust valve adjustment. 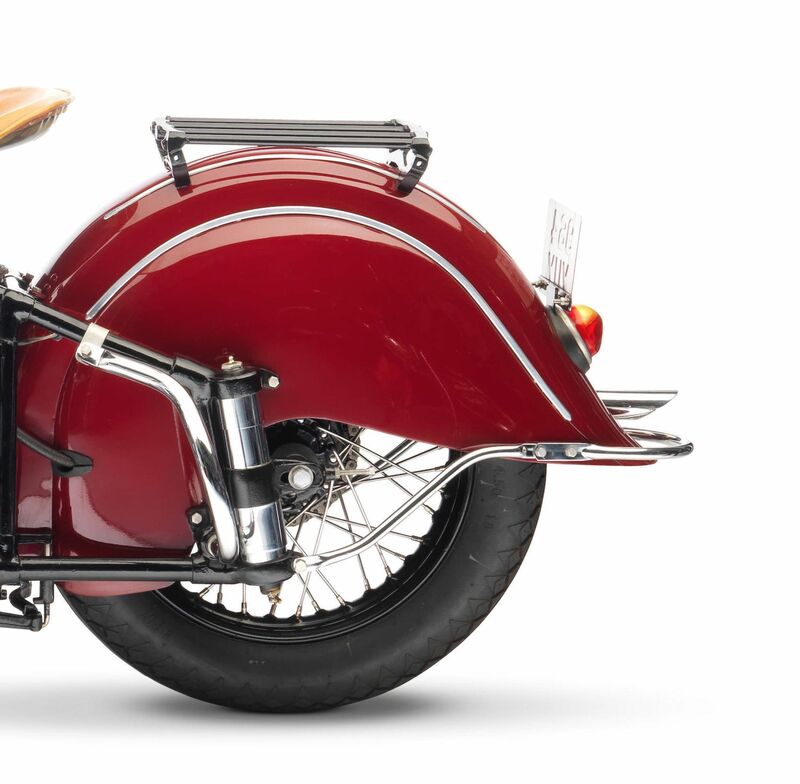 The design was switched back to inlet-over-exhaust in 1938, but these “upside down” Indian Fours are now a hot property on the classic motorcycle market. 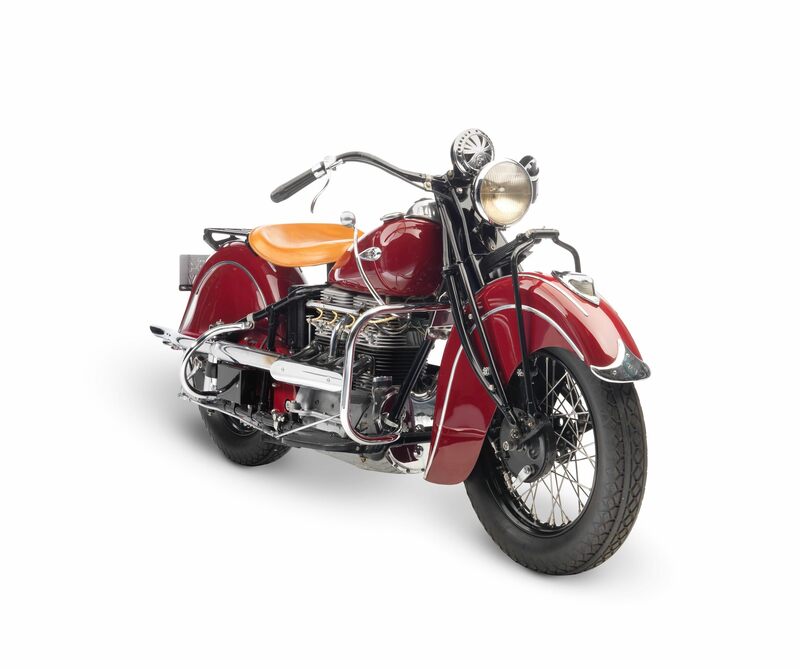 1940 would see the the introduction of both plunger rear suspension and new Indian fenders front and back. 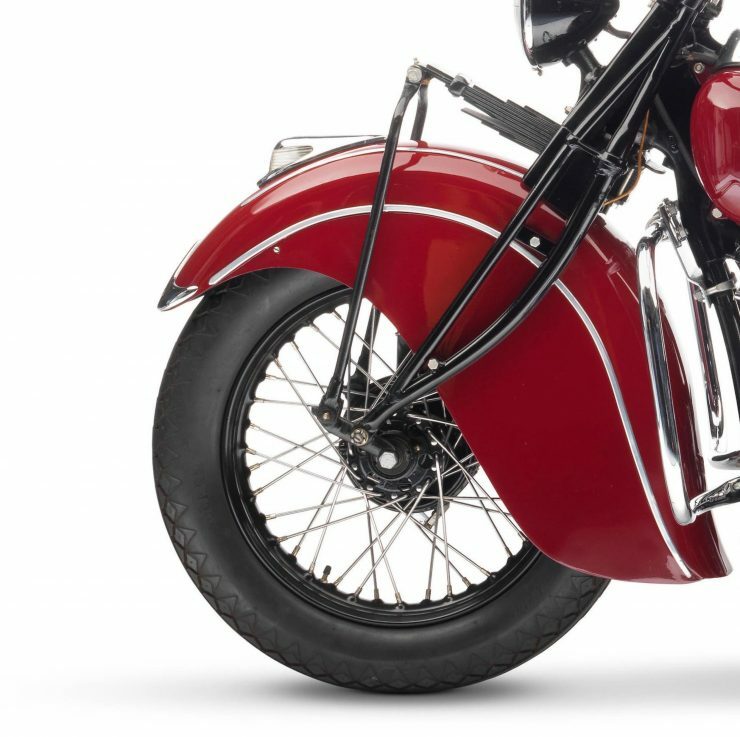 A year later in 1941 the original 18″ wheels were swapped out for 16″ wheels, allowing the fitment of fatter tires which further improved ride quality. 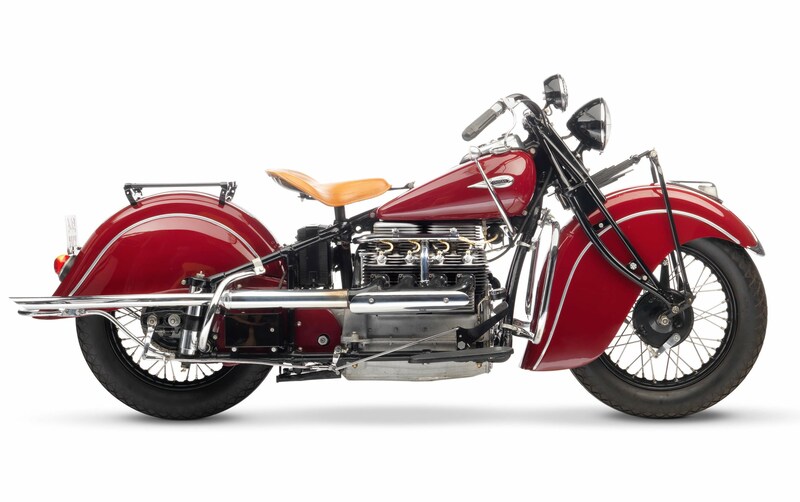 1942 would see the discontinuation of the Indian Four due to WWII, but by this time the model was beginning to show its age and it likely wouldn’t have lived on for much longer. 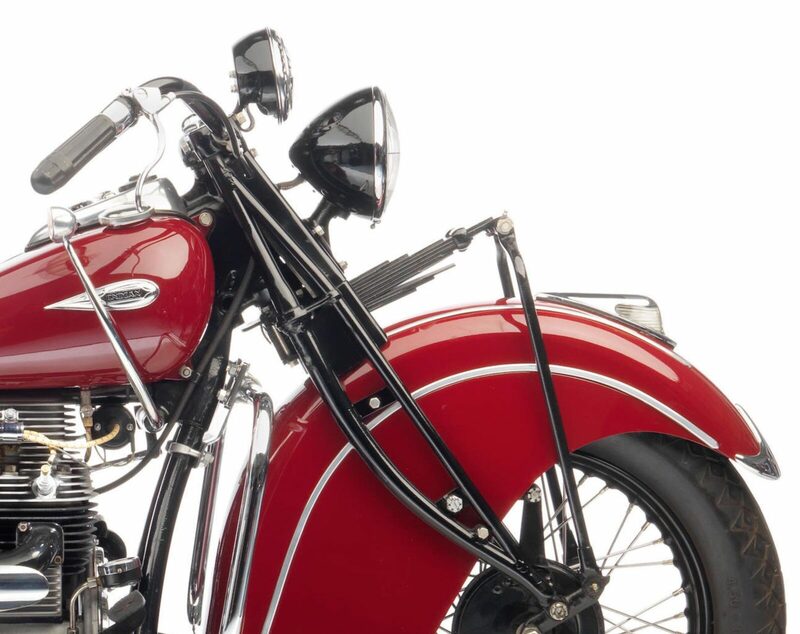 The Indian Four shown here is an all-original bike that was restored in 2001-2002, it’s now accompanied by a multitude of bills, copies of old US title deeds, and other American documentation. After its restoration it was imported to Ireland, from where it was bought by the current owner in 2013, and it’s now being offered for auction by Bonhams with DVLA correspondence, old/current V5/V5C Registration Certificates, and various (non-original) instruction manuals and a parts list. 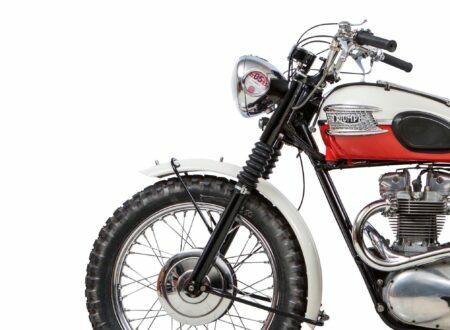 If you’d like to read more about the Indian Four or register to bid you can click here to visit the listing.